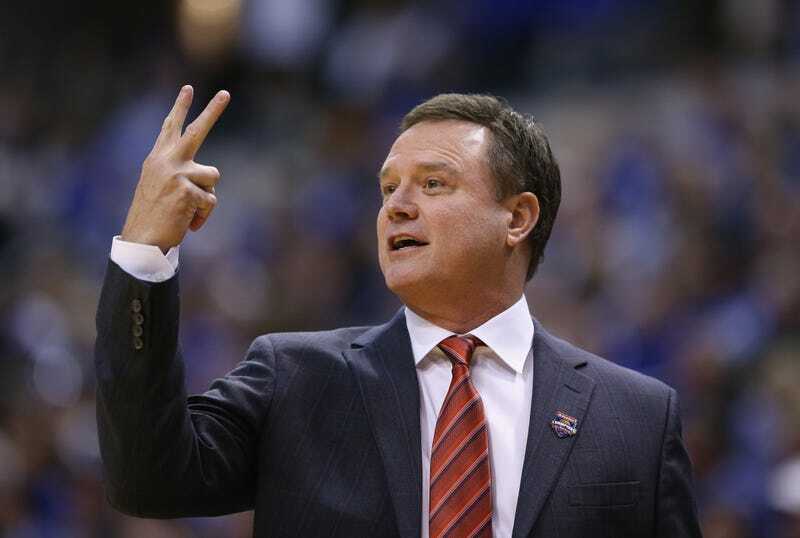 Bill Self's Kansas Jayhawks were the fifth ranked team in the country going into Tuesday night's matchup against Kentucky, but they won't be for much longer after getting whooped 72-40. Kentucky is most people's preseason pick to be the NCAA Champion, and they certainly looked the part as their length on defense absolutely smothered Kansas, who shot only 20% from the field. Kentucky had as many blocks—eight of the 11 from Karl-Anthony Towns and Marcus Lee alone—as Kansas had field goals.